The power is where it’s always been. The word is alive. Jesus is still alive! Many a times, we who are living in the cities are not aware of the challenges that missionaries face out there in these difficult setups. It causes us to be complacent and take the blessings we have for granted. Finding people who have a wholesome and dependable character is such a difficult thing to do in the days we are living in now. Here are five things which you need to look for in the people around you, and more importantly in yourself too. We often live in the assumption that worshipping God is meant for Sunday services, and that too the first half of it, while the remaining time of the week is ours to spend on what we like and enjoy. Read on. It is a difficult task to be specific! When we see the nature of God of the bible, we see that our God is a God of specifics! 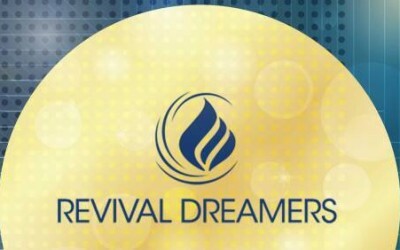 We are just done with our annual church conference that we called Revival Dreamers. There were a few reminders, revelations and lessons that really took me over completely and has set the tone for the next phase of my life. Read on. I admire so many things about Frank Jenner, a few of which I would like to personally imitate. I share them with you here so you can join along and be passionate about serving Jesus like Frank Jenner was. Last night, I got my much needed, much awaited and long due outing, when I got to hang out with my wifey and a couple of friends watching the movie Piku. I would like to share a few things that are depicted in the movie which I would like to disagree with.